Today, we’ll talk about some awesome veggie chips AND you get a new recipe inspired by these veggie chips that perfectly compliments them (or anything really!) 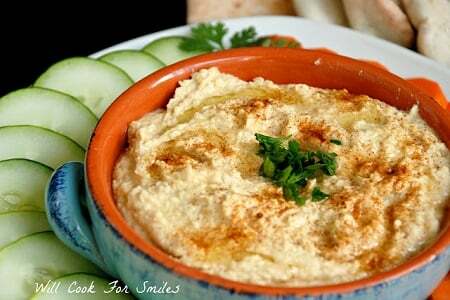 It’s a Hot Veggie Dip, delicious dip made with fresh veggies, cream cheese, Swiss cheese…oh and it’s served warm! Yummo! I usually don’t like to walk through the chip isle because of all the temptation. See, I’m a sucker for chips and if I walk through the isle, I know something will magically appear in my cart. It’s the weirdest thing…it’s like they know! I did and now I treat myself to some veggie chip goodness when I have a craving! I love chips and having a healthier version is great. 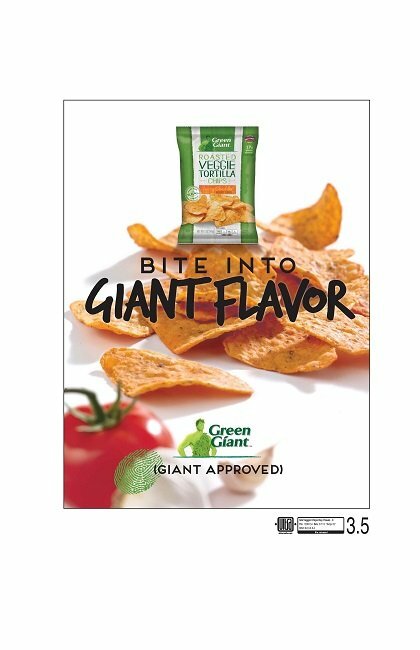 I tried two flavors of the Green Giant Veggie Chips: Barbecue Sweet Potato Chips and Garden Ranch Tortilla Chips. I’m so happy they make it two out of three of my favorite flavors, all that’s missing is the sour cream and onion flavor! Sweet Potato Chips are made with real sweet potatoes, which is a big plus, they are packed with multigrain and they have 40% less fat than regular potato chips! Can I get a “woot-woot” for healthier and less fat?! I absolutely LOVE tortilla chips. They are perfect for dips because they tend to be thicker and taste much better than potato chips (to me, at least.) 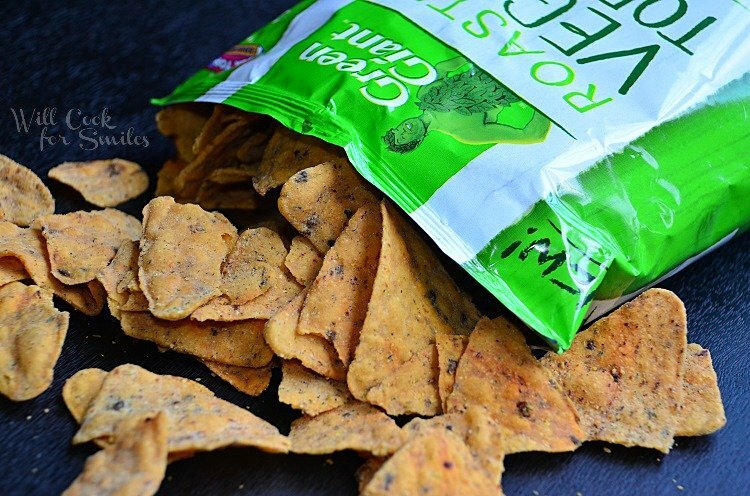 The Green Giant veggie tortilla chips are made with real vegetables, whole grain and naturally flavored! So naturally, when I got some of these veggie chips, I needed to make a veggie dip to go with it! Personally, I like hot dips much better than cold dips, so that’s where my mind goes first. I was making this up as I went and randomly pulled stuff from the fridge. 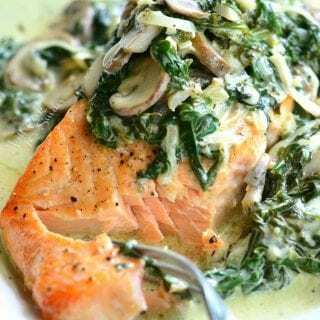 Hubby always tells me that my best recipes are the ones that I don’t plan but just do! He is so right because this was DELISH! I’m just happy that I remembered to write it down as I went because I often forget to do that. 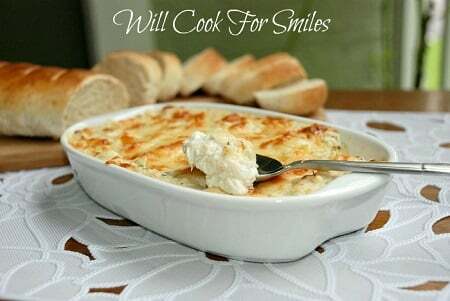 It's a Hot Veggie Dip, delicious dip made with fresh veggies, cream cheese, Swiss cheese...oh and it's served warm. Preheat the oven to 350 and lightly grease an oven-safe baking dish. Saute all the veggie until they reach your desired level of doneness (I prefer them a little crunchy but some may like it soft.) Add Worcestershire sauce, salt and pepper flakes, mix well and set aside. 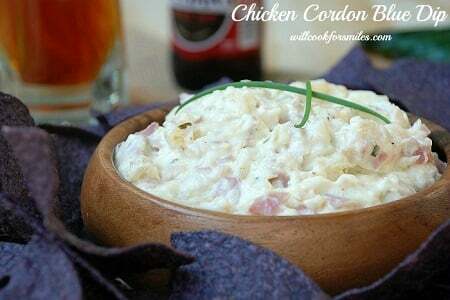 In a medium bowl, combine cheeses, mayo, sour cream, dill weed, salt and pepper. Mix very well. 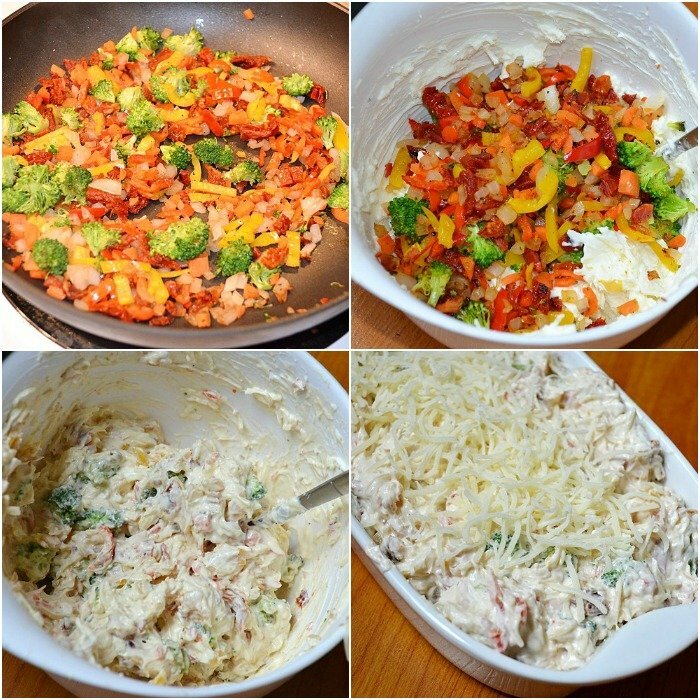 Mix in the veggies and transfer into the baking dish. 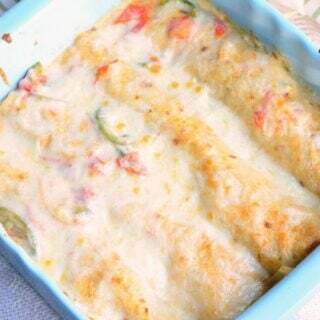 Spread evenly and top it off with the 2 tbs of Swiss cheese. 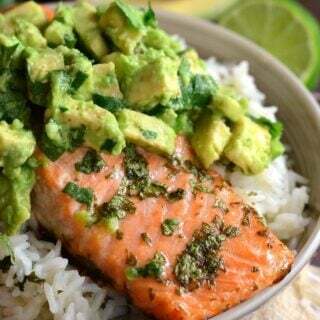 I could eat the whole dish. Agreed, Ms Lemon!! Thank you! It’s really good 🙂 Might be worth licking out the plate! That sounds really good! I’m such a sucker for chips too. I *try* to get “healthy” chips if I get any at all but it’s always a temptation. I’ll have to keep an eye out for these new ones! I am definitely trying this soon! 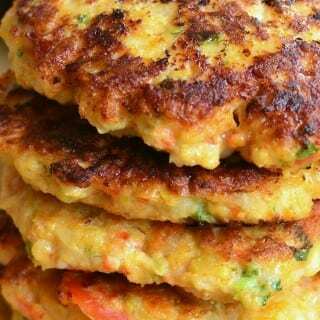 Veggies are always I fight with my son, but this might be a way to sneak some in and get him used to eating them a little more. Thank you so much for sharing this on the Less Laundry, More Linking party. I appreciate your support so much. Totally, worked on my husband!! Thanks, Brenna! 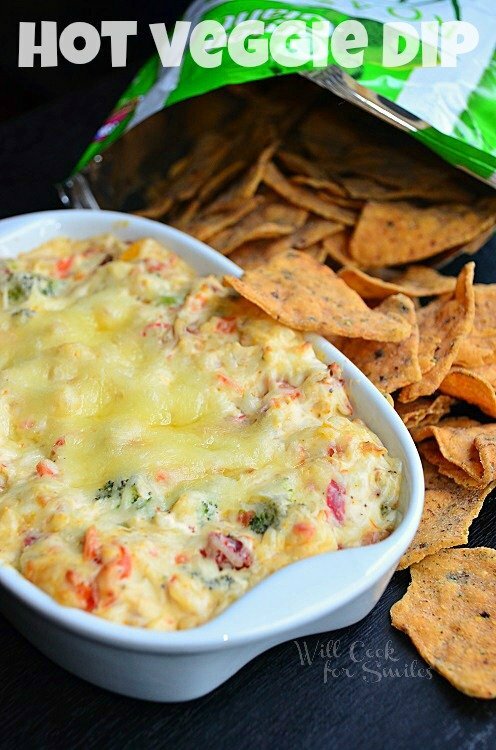 Yum, this dip looks tasty! 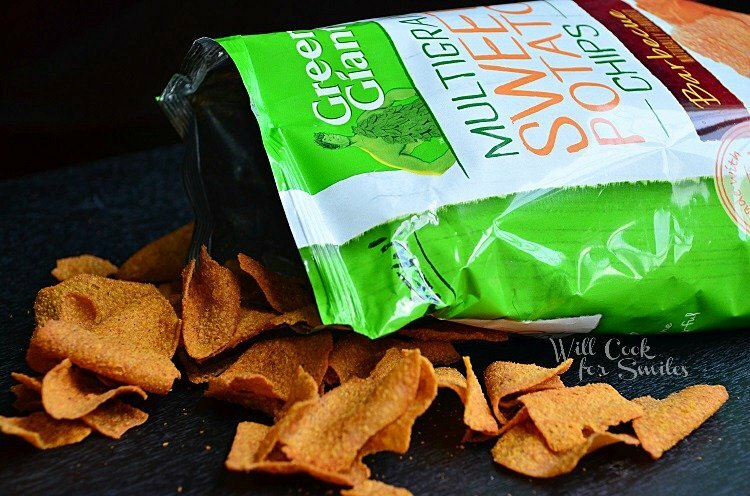 I also tried these Green Giant chips recently and I am now addicted! The veggie chips look good, The veggie dip looks REALLY good 🙂 Pinned. 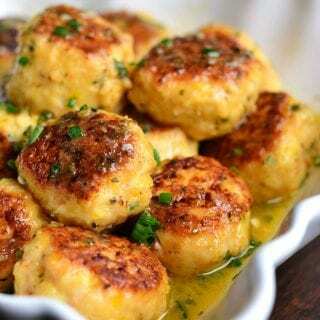 Yumm………got to try this out! Thank you so much, Ellya! 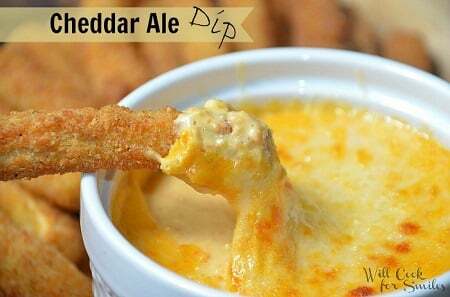 I love dips and this is perfect. What a great way to get a lot of veggies in and not feel so guilty about wanting to eat the entire bowl! So true! Thank you, Christie! 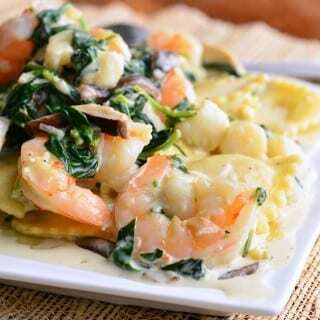 I’m constantly looking for delicious ways to add veggies to our diet and this looks wonderful. Thank you for sharing. Pinned! So glad to help! Thank you, Rose! I love those chips!! 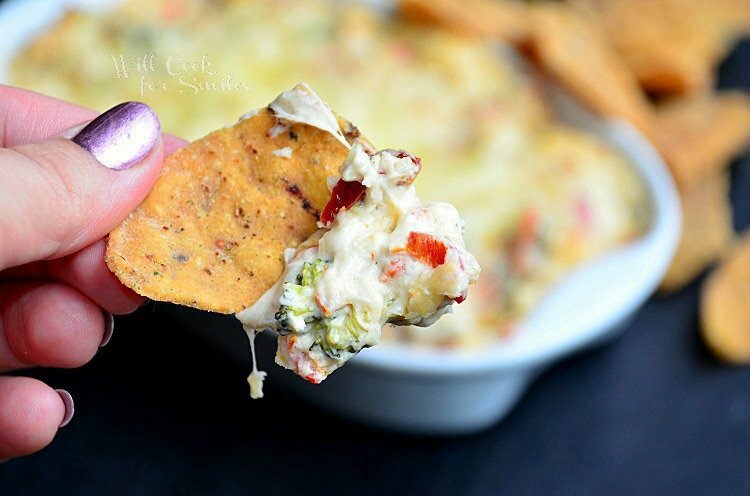 And this dip looks perfect to go along with them! Yum! We seriously LOVE those chips too; so good! I bet they are amazing with your veggie dip too! 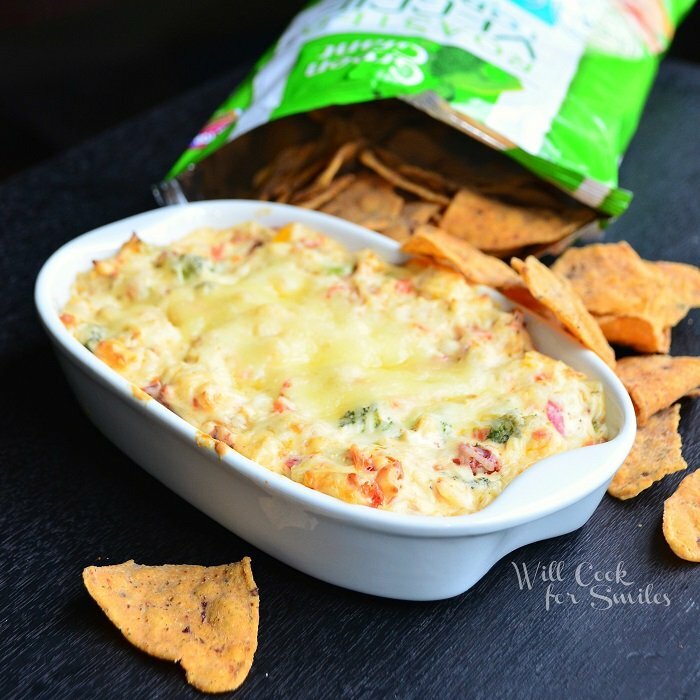 The chips do look fantastic…but this dip and me could be alone with a spoon and I’d be just fine. YUMMERS, Lyuba! This is right up my alley=looks amazing! I haven’t seen the Green Giant veggie chips before but I will look for them! They look like a perfect snack! 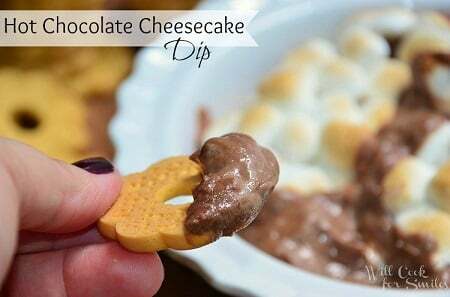 The dip sounds delicious too! This looks incredible! I can’t wait to try it at my next party. 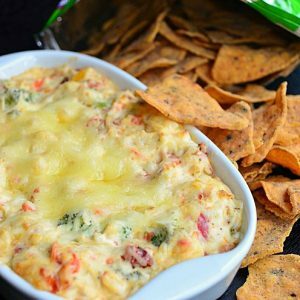 Those Chips looks awesome, and this dip – WOW! 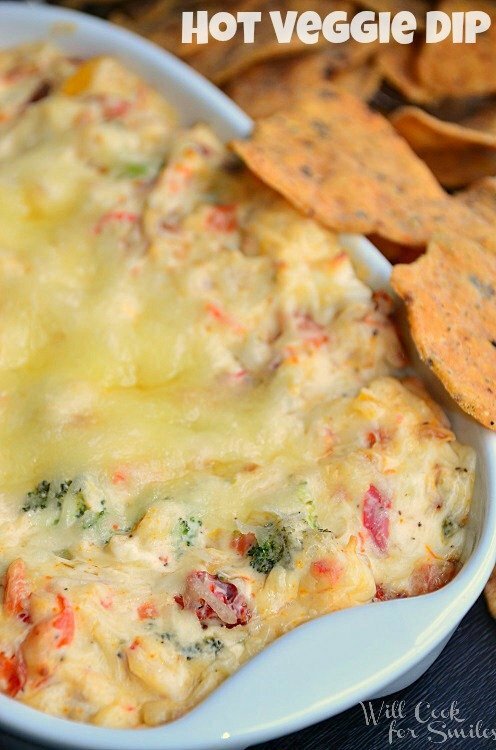 Talk about a great looking “healthy” dip, you sure have it!! 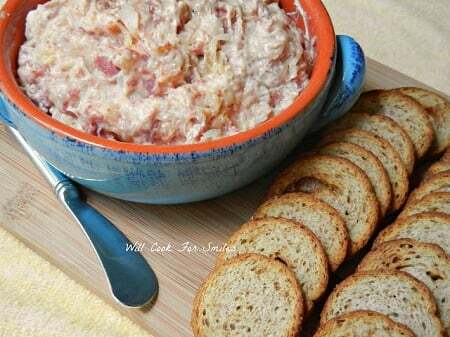 I made this dip Saturday for my potluck party. It was an instant hit, and it was wiped clean in no time at all! I substituted a hot sauce for the Worcestershire sauce (as we like our food really spicy). Served it with crackers (as they were handy). Thanks for the recipe.